Based in Yorkshire, the Smith family has farmed for at least 200 years. Since 1989 we have produced straw for the thatching industry, serving customers mainly in the North and Midlands. Our crops are harvested in the traditional way- cut with a binder and ripened in the stook, to ensure that we are able to supply the best possible materials. 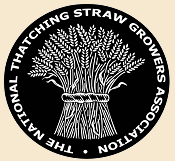 We are members of the National Thatching Straw Growers Association and our crops are grown and harvested according to the quality standards outlined in the NTSGA “first principles”. A grade 2* Yorkshire barn ridged with our long straw. Over the years we have supplied straw to thatch a range of listed buildings, museum and conservation projects.